Scattered site shelters help families transition from homelessness to permanent, sustainable housing. 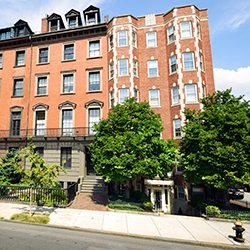 The Massachusetts Department of Housing and Community Development determines access to them, and the ABCD Housing and Homelessness Prevention Department manages one. Families deemed eligible for emergency assistance by the Massachusetts Department of Housing and Community Development (DHCD) may qualify for placement. ABCD’s scattered site shelter is safe and supportive — but temporary. ABCD case coordinators help families address various barriers to obtaining permanent housing and provide vital resources to help them attain self-sufficiency.